I’ve written twice about Big Brother‘s hateful Aaryn Gries. (Read The Devil is Blonde: Aaryn is Pure Evil and CBS and Julie Chen Start to Reveal Aaryn’s True Colors). I didn’t know that her words or actions could get worse than what we’ve witnessed in the last two weeks. Amidst this sorry display of human behavior, though, has appeared a shining light — Howard Overby. Howard, a 29-year old African-American youth counselor from Mississippi, has proven himself to be of outstanding character. Like several of his fellow houseguests and most of the people who watch Big Brother, he is horrified and offended by the things that Aaryn has said and done. Unlike bloggers like myself, however, who can rail against Aaryn without fear of recrimination, he is in an almost impossibly difficult position, in that standing up against the mean girl might negatively impact his standing in the house, and his chances at winning the $500K. But he has found his own ways, through the use of his patience, communication skills and his faith, to quietly make an impact. This is personal for Howard. He wants to fight, he wants to yell, but he knows what he’s there for, and he knows he’s playing a social game. He’s conflicted, but he’s doing what he has to do so that he, and Candice, can rise above the hatred in the best possible way — by outlasting the perpetrators. “Being bigger” is not easy. It takes a big, smart, strong man to be able to observe, “All she wants to do is stand up for what is right. Unfortunately we’re not playing a game where you can do that.” Howard is that man. 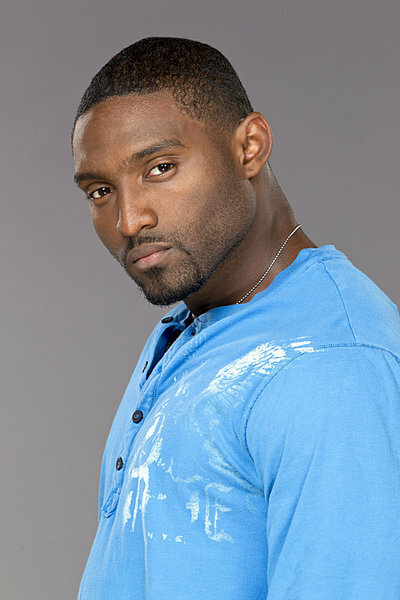 After finding himself on a team in the Have/Have-Not competition with Aaryn, GinaMarie and Kaitlyn, Howard also tried to take a stand by throwing the competition. Due to McCrae’s sheer ineptitude he was unable to do so, but still, the fact that he was willing to sacrifice his own comfort in order to ensure the most entitled houseguest were deprived this week speaks volumes about his character. Now, Howard is no saint, nor should he be — this is Big Brother, after all. After all, in the very same episode he lied straight to Helen’s face when she asked him whether or not there had been an all-guy alliance. But that actually makes me like him even more — he’s not so delusional as to think honesty and goodliness are the only virtues in a game like this one. Whether he takes home the big prize at the end of the summer or not, Howard has shown he is much more of a winner than Aaryn or any of her hateful crew. A low bar, to be sure, but for that I salute him. This entry was posted in Television and tagged Aaryn, Big Brother, Howard. Bookmark the permalink. I like Howard and he seems like a a nice guy, but I dislike his fake side. He carries a bible and randomly prays yet he lies and still has not stood up for what was right. Which tells me the money trump his morals and beliefs. I don’t like that. If you’re gonna carry a bible around you had better have the backbone and courage to stand by your beliefs. Gambling for money, watching people hurl racist and hateful comments and lying are not things I would celebrate. wonderful commentary and so true! i watch BBAD every night, and the best thing i saw was the close ups of Howard’s face as he struggled to deal with these issues. close ups that showed his entire range of emotions. it was compelling television, and a shame it wasn’t on Showtime any longer. i am sure the late night show on TVGN is lost. but i applaud Howard for his game and taking the higher road, as well as bringing Candace with him. if i had my way, tonight would be a double eviction and both Jeremy & Aaryn walked out that door.